I recently had the pleasure of participating in a video commercial for Pennville Cabinetry. 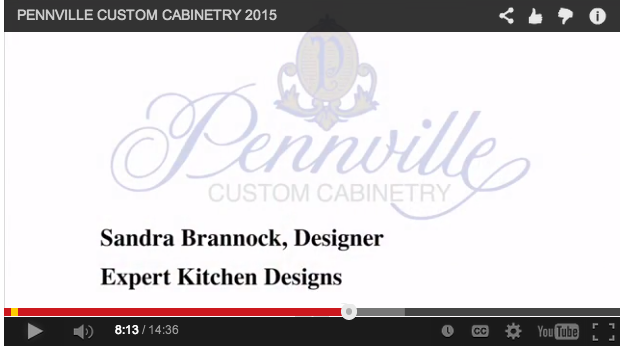 You can learn why Pennville Cabinetry is my top choice for custom kitchen cabinetry when you watch the video below. I am standing in a beautiful Pennville Stanford Collection custom kitchen that was completed a couple of years ago. It is absolutely gorgeous and the total example of what Pennville does with a lot of value. 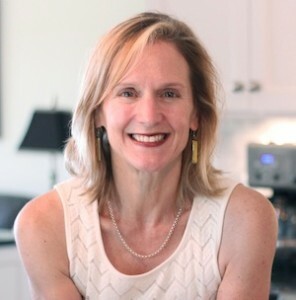 When I was first introduced to Pennville, I thought they would be like any ordinary cabinet company until Mark showed me the finishes and the construction and the door styles. My mouth fell open. I fell in love. This is the most incredible product I work with today. Who would not want to cook in this kitchen? It is where everybody wants to be. Family and friends can gather around this inviting and beautifully designed kitchen for meals, enjoy themselves, connect and share and love. One of the reasons I love to work with Pennville is their ability to add some personal custom touches to the cabinetry. We have a pantry cabinet here that they were able to inscribe for the homeowner with her own inscriptions, one saying goodies, one saying bread. Another thing that Pennville does is combine the cabinets so that they look seamless and like they were meant to be there forever. This is a very clever way to use space on the side of a tall cabinet. We basically made this little secret compartment where keys and another items can be stowed away in a secret place that is very nicely concealed top and bottom.